Book hotels in Al Maktoum Intl. 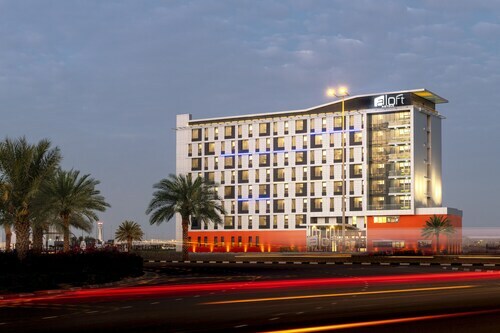 Featured Hotels near Al Maktoum Intl. Located in Dubai Investment Park, this hotel is within 9 miles (15 km) of Expo 2020 Grounds, Dubai Autodrome and Dubai Sports City. Jumeirah Golf Estates and Dubai International Stadium are also within 9 miles (15 km). 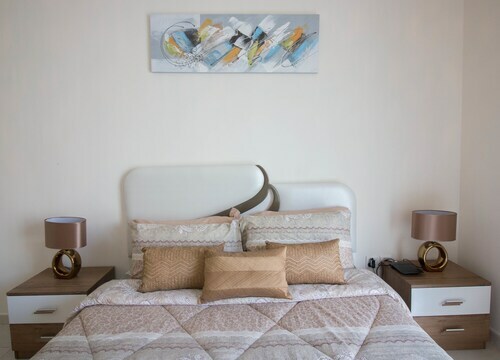 Located in Dubai, this family-friendly hotel is 2.1 mi (3.5 km) from Dubai International Endurance City, and within 32 mi (52 km) of Global Village and Dubailand. Dubai Butterfly Garden and Dubai Outlet Mall are also within 32 miles (52 km). Situated near the airport, this hotel is within 12 miles (20 km) of Dubai Expo 2020, Legoland® Dubai and Dubai Parks and Resorts. MOTIONGATE™ Dubai and Bollywood Parks™ Dubai are also within 16 miles (25 km). 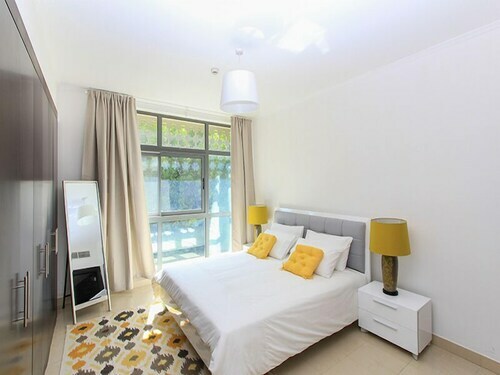 Situated in Dubai World Central, this apartment building is within 9 miles (15 km) of Dubai Expo 2020, Legoland® Dubai and Dubai Parks and Resorts. MOTIONGATE™ Dubai and Bollywood Parks™ Dubai are also within 12 miles (20 km). Situated in Jebel Ali, this apartment building is within 12 miles (20 km) of Dubai Expo 2020, MOTIONGATE™ Dubai and Expo 2020 Grounds. Ibn Battuta Mall and Dubai Marina are also within 16 miles (25 km). Situated near the airport, this hotel is within 9 mi (15 km) of Ibn Battuta Mall, Dubai Marina and Dubai Marina Mall. Skydive Dubai and Emirates Golf Club are also within 12 mi (20 km). Jebel Ali Station is 15 minutes by foot. 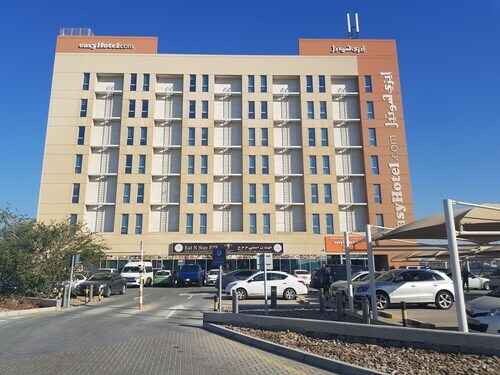 This family-friendly Dubai hotel is located in the business district, 2.8 mi (4.5 km) from Dubai Expo 2020, and within 9 mi (15 km) of Dubailand and Expo 2020 Grounds. Ibn Battuta Mall and Jumeirah Golf Estates are also within 9 miles (15 km). 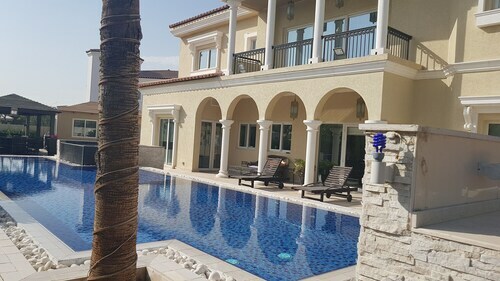 Located in Dubai Investment Park, this villa is within 9 miles (15 km) of Jumeirah Golf Estates, Ibn Battuta Mall and Dubai Expo 2020. Dubai Sports City and Expo 2020 Grounds are also within 9 miles (15 km). Travel to Al Maktoum Intl.